As one of the longest standing online Travel Agency based in the Whitsundays, Sailing-Whitsundays continue to lead the way, offering quality customer service, information and holiday packages to each and every customer. Where do I find Sailing-Whitsundays? Sailing-Whitsundays has a walk-in travel shop located in the main street of Airlie Beach as well as an online-only office. The walk-in travel store is located at 4/1 Airlie Esplanade and visitors are able to book day and overnight tours, scenic flights, accommodation and more! The staff at Sailing-Whitsundays are a mix of vibrant, lively team members who strive to deliver personalised service to create the best holiday for their customers. Read about why they enjoy their jobs, their dream holidays and that they love about the Whitsundays! Not only is Sailing-Whitsundays a leading travel agency in Airlie Beach, we are also very popular on social media with many great stories, moments and images to share with the world. Established in 2002, Mr-Travel has been leading the way for the online Travel Agency industry; striving on delivering personalised customer service and exceeding all customersâ€™ expectations with our knowledge and the highest standard of products. Sailing Whitsundays/Mr-Travel specialise in tourism and travel in Queensland, offering a huge range or day and overnight tours, packages and travel arrangements. 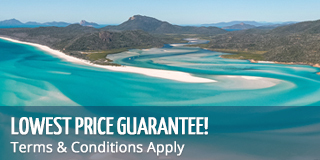 Why book with Sailing Whitsundays? Established in 2002, Sailing Whitsundays has been leading the way for the online Travel Agency industry for the Whitsundays region for nearly 15 years.